CNNMoney examined the 50 top funded Kickstarter projects with estimated delivery dates of November 2012 and earlier to see which shipped on time -- and why the laggards were late. Click each square for more details. 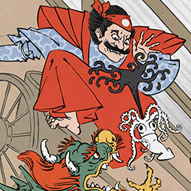 Given that so many Kickstarter projects ship late, it's almost amazing that Ukiyo-e Heroes -- offering hand-crafted prints of popular video game characters incorporated into ancient Japanese art -- actually delivered thousands of items on time. Well, mostly. About 90% of the digital prints shipped before the end of November, but 10% didn't make it after a block of handmade paper used for the prints was damaged. The vast majority of the wood-carved prints made it out as well, but about 20% were late -- mostly due to the heavy oversubscription. Another snag encountered by Jed Henry, creator of Ukiyo-e, was on Kickstarter's end: Henry says he had no way of shipping the prints in the order in which donations were received, partially because "Kickstarter's data management isn't super-great." Alt-rock queen Amanda Palmer, formerly of The Dresden Dolls, split acrimoniously from record label Roadrunner in 2010. In a letter to fans, Palmer wrote: "Now that I'm unshackled, I plan on doing a lot of really awesome and creative things with my songs and how people can pay for them." Kickstarter fit perfectly into that ethos, and Palmer used the platform to raise funds for her first major release since 2008. The money went to post-production and promotion for her 2012 album "Theatre is Evil," which was released in September, plus an art book and tour. "Some polemics came up. Amanda never meant to present herself as a starving artist," says Palmer's manager, Vickie Starr of Girlie Action Media. "This was not donations, this was a record pre-order. This was a retail transaction." 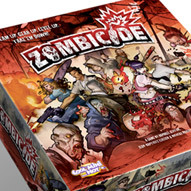 This cooperative zombie survival game became one of the most funded board games in Kickstarter history, blowing past its $20,000 funding goal. "We were almost 90% complete when we went to Kickstarter," CoolMiniOrNot director David Doust says of his company's production process. "We used it as a marketing tool." The veteran gamemaker pulled off what may be a Kickstarter first: It shipped the game to backers a month early. The Atlanta company has its vendor supply chain down to an exact science. "We have multiple factories that we deal with," Doust says. "Some do better with game pieces; sometimes we do one or multiple factories to manufacture these games." CoolMiniOrNot also quickly broke its own record. The company used Kickstarter to launch two more games, Sedition Wars and Relic Knights, that topped the $900,000 mark. Jesse Genet and Stephan Angoulvant first created Lumityping, a photo process that prints pictures on fabric using special dye and sunlight, in 2009. 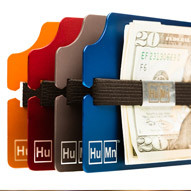 They were one of Kickstarter's pioneers, selling Lumi prints and leather bags through the site in early 2010. 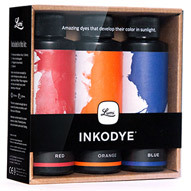 Their latest Kickstarter raised cash for $70 do-it-yourself Lumi printing kits. The project drew more than 3,000 backers. Nearly all of Lumi's domestic orders went out on time. International orders lagged by a month because of customs complications. Genet describes herself as very pro-Kickstarter, but she sees more skepticism around the platform these days. "The first time we did it there were no preconceived notions, but this time people had heard about people getting burned on Kickstarter," she says. "People would email us saying, 'Where is my order?' And we'd say, this isn't Amazon. You pledged to back something and the product didn't exist when you gave your money. We had to create it." Want to use a banana as your computer mouse? Alligator clip it to a MaKey MaKey circuit board and you're in business. Designed for kids, artists, mad scientists and anyone else who wants to screw around with technology, the MaKey MaKey is an "invention kit" that lets you turn any electrically conductive object into an interface for your PC. One demo video shows Jay Silver, Makey Makey's inventor, setting up a Rackspace server using a BLT sandwich. MaKey MaKey is the first product from JoyLabz, a company Silver says "was supposed to be started about five years from now." Jump-started by Kickstarter, he's developing a business around MaKey MaKey and several other inventions on his drawing board. 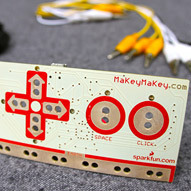 Priced at $50, the MaKey MaKey is now being sold by Amazon, ThinkGeek and a handful of other retailers. Fantasy game developer Mantic Games had the rulebook for Kings of War ready to roll by the time it launched a Kickstarter for the project. 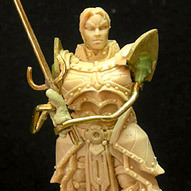 It used the cash to fund production of a new line of miniatures for the game. "The response was way beyond what we had anticipated," says Web coordinator Chris Palmer. "We actually had a contingency plan in place in case we didn't make the $5,000 initial goal." Before Kickstarter, the 11-person company was primarily a trade business selling to gaming shops. The direct feedback from Kickstarter buyers has been a huge bonus, Palmer says, prompting Mantic to launch its second campaign, DreadBall, in August. That project raised twice as much as Mantic's first one. "We're well on target to deliver both of our Kickstarters on time," Palmer says. "At some points we've had to close the sales office and have all of our staff in our warehouse packing up boxes." Serial entrepreneur Daniel Chin decided to experiment with Kickstarter to launch CloudFTP, a plug-in adapter that connects to any USB storage device (like a flash drive or hard drive) and wirelessly transmits its contents to other mobile devices. "It was a unique product, the first of its kind in the market," Chin says. "We thought Kickstarter was a good avenue to gauge the market response and create awareness." The device shipped on time, but the first batch had hardware bugs. Chin offered exchanges on those units. Kickstarter's platform isn't well suited to handling thousands of customer service queries, he found. "There's no way to search through messages, so you have to go through them one by one," he says. "We had to tell backers to go though our ecommerce site for support." 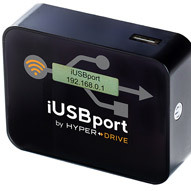 CloudFTP, recently renamed iUSBport, is now sold on Chin's HyperShop.com site for $100. Chin says he probably won't go back to Kickstarter: "It's too much of a hassle. We were fighting with the Kickstarter platform most of the time." 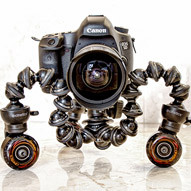 A "CineSkate" is a portable tripod with wheels designed to help on-the-go photographers snap tricky shots. Creator Justin Jensen had the invention pretty much ready to roll by the time he launched his Kickstarter. "We already had our tools made to make the parts in quantity," he says. "I waited until we had a legitimate prototype working, not a 3-D fabricated prototype." CineSkates are now the flagship product of Cinetics, a six-person company based in Austin. "All of our initial sales were Kickstarter, but the majority of our sales came later through other channels like B&H and Amazon," Jensen says. "We would never have met those retailers if it wasn't for all the media attention and the buzz Kickstarter generated." Cinetics recently used Kickstarter to launch its second product, CineMoco, a motion-control system for cameras. "When you put dates on things several months in advance, it's your best estimate -- not a commitment," says Liz Dickenson, inventor of a strapless heart rate monitor called the Alpha watch. But many of Alpha's Kickstarter supporters didn't see it that way, and they took to the campaign's comments section to ask whether they'll need to buy something else for Christmas. Dickenson says she could have shipped in November, but she wanted to ensure that the company is delivering the best product possible. Testing took longer than she'd anticipated. The Alpha Watch shipped in mid-December, but won't reach many buyers till Christmas or later. 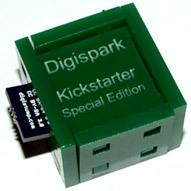 When Erik Kettenburg began working on the Digispark, a tiny tool that allows users to develop USB-compatible hardware on the cheap, he secured the parts for 1,000 devices. After generating funding for 23,000 Digisparks, Kettenburg needed to drastically increase his supplies. That delayed delivery by at least a month. It's a mistake he says he won't make again. "I think the greatest word of advice to potential Kickstarter creators is don't overpromise, and don't be afraid to limit your product to numbers you can deliver," Kettenburg says. But Kickstarter supporters also need to realize what they're getting into, he thinks. "Remember, it is an investment in an idea," Kettenburg says. "While I strongly believe there is no excuse for not delivering a product, backers should expect delays, changes, and other bumps in the road." Kettenburg started shipping in mid-December, and posted photos of the finished devices lining his living room. 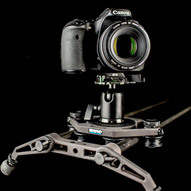 The Rhino Slider -- a lightweight slider system for video cameras -- is Kyle Hart's second go-around with Kickstarter. His first project had a shipping delay of about five months, but the $80,000 it raised helped him launch his company, Rhino Camera Gear. Hart learned two lessons: Plan for an order deluge, and have reliable suppliers lined up in advance. "The whole problem the first time was the sourcing. We're a small-time company and we got bullied around," he says. "I would post video updates of delay after delay. I got really stressed." The Rhino Slider shipped its first units in mid-December. Hart plans to launch all of Rhino's products on Kickstarter. "You can test the market before you spend a ton of money on manufacturing," he says. "We painted the first product blue and [buyers] said 'we want black,' so we responded to demand and created things that people wanted." 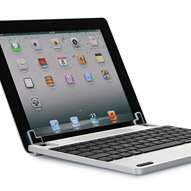 A keyboard that connects to the iPad isn't a new idea, but the tech press lit up with raves for the Brydge's design renderings. Created by entrepreneurs Eddy Vromen, Sam Gordon, and Brad Leong, it's a sleek aluminum keyboard with integrated speakers that looks like it could have been hatched in Cupertino. Shipping a month late was due to "standard manufacturing delays," Gordon says. "We thought it was worth it to do a little bit of a delay and produce a better product." The Brydge team is now selling their keyboards online for $130 to $210. To meet the huge Kickstarter demand, Vromen moved to Asia to manage on-the-ground manufacturing. "It was necessary for him to be over there," Gordon said. A perk? To deal with the different manufacturers building the product, Brydge hired Vromen's girlfriend, who speaks Chinese, as a translator. Massively Multiplayer Online games -- MMOs in gamer jargon -- typically cost as much as a blockbuster movie to launch. Development studio Goblinworks hopes to create one on a shoestring. 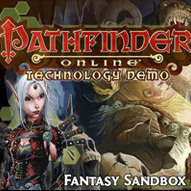 The company's Kickstarter campaign set out to raise enough cash to produce a series of demo videos for the game, called Pathfinder Online. Goblinworks released the demo videos in November and used them to launch a second, still-ongoing Kickstarter. The new one seeks $1 million for a three-year development project that would take Pathfinder live in January 2016. Creator Ryan Dancey posted a detailed accounting breakdown showing Kickstarter backers how their cash was used. "We were really surprised with the level of support the community gave us," he says. "It was such a success." 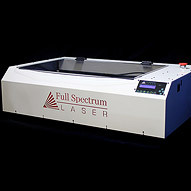 The market for in-home laser engravers may be a niche, but its customers are rabid especially for affordable machines that are easy to use. That's exactly what Full Spectrum Laser hawked with its Kickstarter campaign: a $3,500 machine that company COO Joseph Tien says "works just as well as a $10,000 or $20,000 cutter." Full Spectrum discounted its fifth-generation cutter for some Kickstarter reward levels, and threw in extras for backers willing to shell out more. "Our market is the hobbyists, the weekend warriors," Tien says. "They have hobby machines from China, but from an operational standpoint they're not very easy to use." To combat that, Full Spectrum focuses on not only the hardware but also the device's software and the company was able to manufacture both in America, thanks to the Kickstarter money. "It was really important for us to be able to call it 'Made in the USA,'" Tien says. 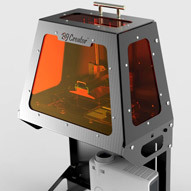 Kickstarter fans love 3-D printers, so it didn't take long for inventor Michael Joyce to find more than 200 backers willing to pay at least $2,375 each for the first model of his B9 Creator. Joyce is a one-man band: He developed the printer technology, designed its hardware and coded its software. Joyce had a working prototype and his supply-chain vendors in place before launching his Kickstarter campaign, but manufacturing took several weeks longer than he anticipated. "The key thing I learned from previous endeavors is to keep people informed," says Joyce, a retired Air Force pilot who previously sold $24,500 replicas of the "Lost in Space" robot. Joyce plans to build a company around B9 Creator, but not until all the kinks are worked out. He's still polishing the printer's operating software. "I'm not trying to grow at the moment," he says. "The main focus right now is to get these 200 customers everything I promised." Though the pen-like Hand Stylus began shipping only about a month late (pretty good for a Kickstarter project), one of the goodies meant to entice supporters ended up stalling the delivery process for a number of backers. Steve King, inventor of the Hand Stylus, committed to custom laser engraving of the tool for each $30 supporter. That proved to be a painful endeavor. "We engrave one at a time," King, who declined to comment for this story, wrote in the project's comments section. "We had so many to do." At one point, the company's laser cutter broke, pushing back production of those pens by five more days. 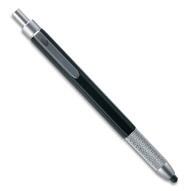 Black styluses were also in high demand, and the company simply ran out of that color at one point. Though many commenters said they were happy with their stylus, others complained that the finish wore off the tip of the stylus and said that it required too much pressure to register on an iPad. 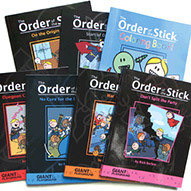 Popular webcomic The Order of the Stick came to print in 2005, when creator Rich Burlew began self-publishing OOTS books. When copies ran out, Burlew couldn't afford a reprint run. "Readers ask me every week when it will be available again, and thanks to Kickstarter, I now have an answer: Now (or never)," Burlew wrote on his Kickstarter page. The real answer turned out to be more complicated. Printing problems delayed the OOTS book's shipping by a few weeks. Smaller rewards like original art and autographed books became the bigger issue after an accident on September 18: A glass Burlew was washing shattered, severing tendons and nerves in his right hand. Burlew told CNNMoney that he is in physical therapy now and hopes to begin drawing in at least short bursts within a few weeks. He added that he rarely gives interviews about Kickstarter anymore, because he "noticed some articles including backhanded insults at me and my work, of the if-these-lame-stick-figures-can-make-money-ANYONE-can variety." The Pocket TV is a thumb drive designed to turn any HDMI-equipped television into an Android-powered "smart" TV. The device runs apps from Google's Play Store, displaying them on the big screen -- "just imagine a 50 inch iPad," as the Kickstarter pitch puts it. 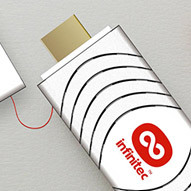 The Pocket TV is the second product developed by Dubai-based Infinitec, a small startup that previously sold an "infinite memory" USB drive. Dubai is "full of technology breakthroughs but lacks technology development," says Infinitec cofounder Ahmad Zahran. "There are literally no investors for the type of business we have." During the Pocket TV Kickstarter campaign, many backers requested a RAM increase from 512 MB to 1 GB. The team decided to do it -- but it meant redesigning the hardware from scratch. "Had we kept the 512 MB RAM we would have shipped one month ahead of schedule," Zahran says. 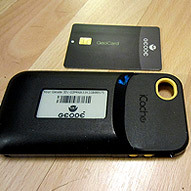 The finished device began shipping in early December. 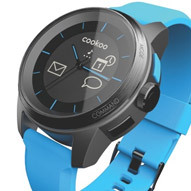 Peter Hauser's cookoo is an analog watch that links to smartphones and uses light-up icons to alert wearers when they get new emails, texts, tweets or other messages. Getting it out the door was like running an obstacle course. "We've learned a lot in terms of setting expectations upfront and making risks clear so people don't feel like you've misled them," Hauser says. "You go in with the best of intentions, but you can't predict everything that's going to happen." Cookoo's iPhone app needed iTunes store approval, which finally came through in early December. The Android version is still stalled: An unexpected change in the operating system's Bluetooth support wreaked havoc on the development plans. "We've very open about the situation," Hauser says. "We feel like it's better to be transparent, but admittedly, because of the Android thing, it's been less than positive in terms of the reaction." The MetaWatch Strata team gave themselves just over a month from the end of their Kickstarter campaign to deliver their iPhone-connected watch. That proved to be a stretch. Apple had just debuted its new iOS 6 operating system, and ensuring compatibility with the watch's software took longer than expected. That kind of development process is typically shielded from the public's view, but on Kickstarter, it's all aired for backers to see. "It's like ordering a steak at a restaurant and the owner showing you how the cow is slaughtered," says Bill Geiser, manager of the MetaWatch team. 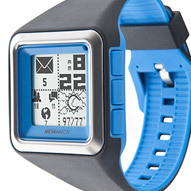 MetaWatch's late delivery is due partially to what Geiser describes as "the race": One way for a project to garner support amid a crowded Kickstarter field is for its creators to be a bit optimistic about their ship date. That can be a double-edged sword. "The second you miss the date, everyone is disappointed," Geiser says. "Those are legitimate feelings." It's no surprise that designer Scott Wilson's iPhone case blew through its funding goal: He's had two previous successes on the site, including the LunaTik watch, Kickstarter's first runaway hit. Wilson's Chicago design company, Minimal Inc., works with big brands like Nike and Microsoft, but Kickstarter lets the firm generate capital for its own products. 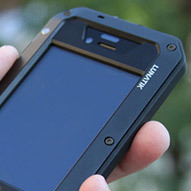 The TakTik protective case features Gorilla Glass, a shockproof suspension system and a "silence" switch. Minimal planned ahead for Apple's iPhone design switch, allowing backers to pre-order an iPhone 5 case. The iPhone 4/4S case fell a few months behind its planned August delivery thanks to manufacturing issues and design tweaks. The backers were patient, according to Minimal communication manager Gina Doctor. "Kickstarter is not a store -- it is about the journey as much as the final outcome," she says. "We are very proud of our complete transparency with backers during all of our Kickstarter projects, particularly in sharing reasons around the challenges or small delays." Most MIT grads launching a startup hack technology. The team behind Ministry of Supply decided to hack the corporate wardrobe. Button-down business shirts get sweaty, stinky and wrinkled. Ministry of Supply drew on a battery of materials-science research -- including some developed by NASA for use in space suits -- to design a high-tech version with built-in moisture, heat and odor barriers. The company expected to sell around 800 of its Apollo dress shirts on Kickstarter. It sold 10,000. That required adjustments throughout its entire supply chain, co-founder Kit Hickey says. Apollo started shipping this fall and is working through its version-one feedback and bugs. Early buyers praised the look and feel, but many complained about small sizing and a too-tight fit. Ministry of Supply is offering free exchanges. "Our top priority is making our Kickstarter backers happy and having them grow with us," Hickey says. The HuMn marries high-tech with high-design: It's a sleek, minimalist wallet with a built-in RFID blocker to prevent your plastic cards from being skimmed. Creators Scott Hussa and Ken Minn built a company around their creation, which retails for $75. Their first Kickstarter had a sharp learning curve. "As simple as our product may look, we're dealing with four to five manufacturers to produce a wallet," Minn says. "We had delays even though we were promised certain turnaround times. Everything seems to cost twice as much and take twice as long." Kickstarter's "archaic" platform was also an obstacle. Project organizers have to collect their buyers' addresses manually through a follow-up survey, and keeping track of the color and customization options HuMn offered became a data nightmare. Still, Minn and Hussa returned to Kickstarter to launch HuMn's "mini" version. "Overall, Kickstarter rocks and it gave us the opportunity to truly 'kickstart' our business," Minn says. "It's not perfect, but it's very good." Product designer Casey Hopkins wasn't thrilled with the iPhone docks on the market, so he decided to make a superior model. 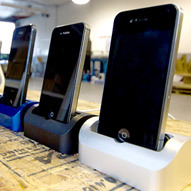 Prototypes of the Elevation Dock -- a heavy, solid aluminum docking station featuring a low-friction connection and sticky rubber feet -- were a hit with Hopkins' friends. He brought it to Kickstarter and became the first to raise more than $1 million on the site. "Being a product designer, I know how people react if you put out a half-assed product," Hopkins says. "I had this vision: If we ship late or people don't like it, the entire Internet will be outside my house with pitchforks and torches. I can't even articulate the pressure. It's not for the faint of heart." The company shipped 20,000 docks in four months and hired 10 new employees to help with fulfillment. All assembly and shipping is completed at a new warehouse in Portland, Ore.
Then, as Hopkins put it, "Lightning struck," and Apple changed its connector. The company quickly created an adapter, but some backers haven't been pleased with the results. 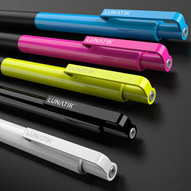 LunaTik, a click pen that retracts to become a stylus, thrilled supporters eager to get their hands on this two-in-one tool. But when the April ship date came and went without any updates -- for almost an entire month -- that excitement turned into anxiety. "It is always difficult to delay shipping," wrote Scott Wilson, the LunaTik's inventor, in an April 23 update to the Kickstarter page. Wilson declined to be interviewed for this story. "Our standard for delivering premium products of the highest quality outweighs meeting our original target date," he wrote in the April note. In subsequent updates, Wilson said that the team ran into some surprising delays in the manufacturing process, which required changes to the rubber tip of the stylus and the pen clip, and a switch in the type of ink used. "While we understand that delays are frustrating, it is always in the best interest of our backers," he wrote. Filmmaker Freddie Wong was already YouTube famous when he launched his first Kickstarter project, teaming with four other actors and writers. 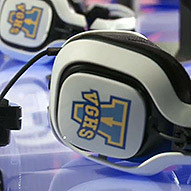 "Video Game High School" is an action-and-comedy Web series of nine short episodes that add up to a feature-length production. Wong started releasing episodes online in May, but fell way behind schedule on shipping out physical rewards like DVDs, posters and props. Most of those eventually shipped in November. "We're filmmakers who also had to quickly create a shipping and order fulfillment infrastructure," Wong says. "It took a bit more time than we expected." He's a big fan of the Kickstarter model and plans to use the site again to fund season two. "It let us gauge interest in our project and pre-sell DVDs" he says. "By participating, people are actively making what they are eventually getting in their hands a better thing." When youth-minister-turned-website-designer Brook Drumm switched his attention to 3-D printing, he tried out the popular printers already on the market: Makerbot, the Ultimaker, the Prusa Mendel. His verdict: The printers were too expensive and too difficult to use. So Drumm created "a completely all-in-one kit" that's easy to build and lets users print plastic parts they design or download. Kickstarter backers loved it and ordered 1,385 Printrbots. "We were trying to build around the clock," Drumm says. "I wasn't sleeping. I finally decided, it's going to happen when it happens." 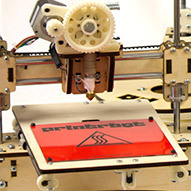 Printrbot began delivering units in April but took until late August to fulfill all of its orders. Some buyers complained so loudly that Drumm refunded about $20,000. "I never missed that money," Drumm says. "People attack your character and attack your name, and it's better to refund them and send them on their way. That one-tenth of 1% can really hurt." 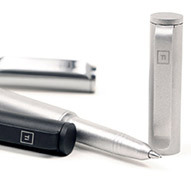 This wasn't the first go-around on Kickstarter for Chackwick Parker and Joe Huang, co-inventors of the Solid Titanium Pen, but with more than 3,200 backers, the universal pen holder was by far the largest of their eight Kickstarter projects. "Making 10 times the amount of pens than we had originally planned for naturally has taken us more time to re-organize and scale up every aspect of the production process," Parker says. The biggest issue that came up during the mass-production manufacturing: The colors of the pen cases didn't match what was advertised. So Parker and Huang had to restart the whole process, delaying delivery until Christmas for some backers. Still, they call Kickstarter a "positive and life-changing experience." "It's definitely a challenge to have so many people involved sometimes, but we simply fell in love with the idea of sharing the journey and what it takes to make a product with everyone," Parker says. The Geode turned into a Kickstarter horror story. An iPhone 4/4S case that doubles as a digital wallet, the Geode is intended to replace every piece of plastic in your billfold. It includes an e-ink screen and "universal" card that can be dynamically reprogrammed to mimic any credit, debit or loyalty card you're carrying. Dozens of tech publications wrote about the Kickstarter campaign, but the $159 device that shipped in July "feels unfinished," reviewer Jason D. O'Grady wrote in ZDNet. He called it "cool but half-baked." Many Kickstarter backers never even got the half-baked version. ICache imploded before fulfilling many of its orders. Geode creator Joe Rubinstein told CNNMoney that he stepped down as iCache's CEO in September at the board's request and later resigned from the company. ICache's current executives did not respond to repeated requests for comment. The project's Kickstarter page is filled with scathing comments from irate backers. "My unit never worked right," one buyer wrote. "It's a paperweight." 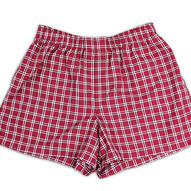 Jake Bronstein wanted to do something that nobody in America was really doing: sell premium, American-made men's underwear. He hoped the project would be a hit, but he was shocked when it drew in more than 5,000 buyers. With 10 times as many orders as Bronstein expected, his original shipping plans went out the window. "It's easy to become a victim of your own success on Kickstarter," he says. "I had a background in manufacturing, so I had some understanding of what was going to go on, but I should have known better. The first timeline given is not what happens in manufacturing." Another big Kickstarter misconception is that wildly successful projects are wildly profitable. "I sold $300,000 worth of underwear, but it cost me $300,000 to make that underwear," Bronstein says. Still, Kickstarter accomplished his goal: It launched a company. Based in New York City, Flint and Tinder is expanding its line of American-made apparel. Steve McGuigan and Duncan Frazier want to help people control their dreams. The pair of entrepreneurs, with backgrounds in photography and marketing, bonded over their interest in "lucid dreaming." Tinkering around with electronics, they developed a sleeping mask that helps users recognize that they're dreaming though customizable light patterns. The pair originally expected to make around 300 units. Then their project took off, leaving them with more than 6,000 orders. "The scale pushed the delivery date back," Frazier says. "But what we also decided to do was fold that extra money we made into the product." The cash boost meant completely rethinking the electronics in the mask, which went out to buyers in November in a whirlwind the entrepreneurs dubbed "Shipocalypse." 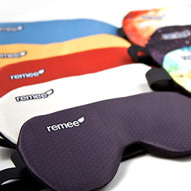 They're now working on building a company around their Remee masks, which retail for $95. 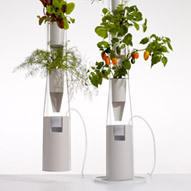 A Windowfarm is a home gardening system for growing herbs and other plants indoors, without any dirt. The company wants to bring sustainable food production to tricky environments like urban apartments. The team used Kickstarter in 2010 to raise $28,000 in seed funding for its early research. By late 2011, they felt ready to mass-produce Windowfarms. That didn't go as smoothly as planned. "This has been a hard-won battle; fraught with many challenges that we weren't always sure we were going to overcome," the Windowsfarm team wrote in a message to backers when the finished units finally began shipping. In another post, they noted: "We have learned firsthand of the challenges facing the American manufacturing industry." Still, the group succeeded in jump-starting a retail business. Plant kits, starting at $199, can now be ordered on the Windowfarms.com website. John Van Den Nieuwenhuizen and Vitor Santa Maria have long suspected that a Bluetooth speaker would be a hit: The pair developed their concept years ago, and floated the idea on blogs back in 2008. "We already knew the Internet loved it, but the problem was the high cost of bringing it to market," Van Den Nieuwenhuizen says. Cue the Kickstarter campaign for Hidden Radio, a nondescript cylinder-shaped speaker that connects to any smartphone, tablet or computer via Bluetooth. Simply twist the cap to turn on the speaker and amplify the volume up to 80 decibels. Hidden Radio raised so much money (nearly eight times its goal), that the pair decided to make some improvements to the product: a rechargeable battery, a bigger speaker, and higher volume capacity. That set back Hidden Radio's ship date by six months, but Van Den Nieuwenhuizen says most backers understood that upgrades take time. 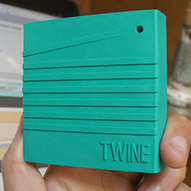 Twine set the tech press aflutter: It's a wireless sensor that can link any object into the growing "Internet of Things." Want to know when your mail arrives? Fasten a Twine to the mailbox and it will text you when the door opens. One demo video showed Twine tracking -- and tweeting -- a dog's daily romps. The Twine team, a group of MIT Media Lab grad students, expected to sell around 200 units on Kickstarter. They sold 6,000. "A few times, we've needed more of a particular component than the entire world has in stock," Twine's creators wrote in one status update. The group underestimated its engineering and manufacturing challenges, cofounder David Carr admits: "I think we were ... 'naive' is probably the most generous word about how long it would take and how much it would cost." Twine started shipping in late September and delivered most of its Kickstarter units in November. The weight-sensing electric skateboard known as ZBoard moves with its rider's rhythm: You lean forward to go and lean back to stop. Creator Ben Forman only expected to sell 25 of the pricey boards, which started at $495. That number quickly zoomed past 400. "This is the first product for our company, and the plan was to have a beta launch, with one-on-one communication with all of our customers," Forman says. "And then, very quickly, we started selling way more than we thought we were going to." After months of redesign work, Forman shipped the first ZBoards in November and hopes to have all the Kickstarter orders fulfilled by early March. For those who don't want to wait, he's issuing refunds. "That's one headache when using Kickstarter," Forman says. "We're doing the moral thing by giving people their money back, but Kickstarter takes 5% on each board we sell, and they never give it back." Where the ^%$# is it!? Virtual reality headsets have long been a pipe dream, but past attempts at creating the devices fell flat. Palmer Luckey, now 20, began kicking around his idea for an immersive gaming experience -- called Oculus Rift --- in online forums back in 2009. The buzz reached famed game programmer John Carmack. In June 2012, Carmack used an Oculus prototype to demo "Doom 3" at gaming conference E3. Investors soon began courting Luckey, who accepted funding to make Oculus VR a real company with experienced executives and a well-oiled PR machine. After its Kickstarter campaign, Oculus found itself scrambling to make the 7,500 prototype units ordered by backers. "Palmer planned to make a few hundred headsets by hand," says Brendan Iribe, who became Oculus' CEO. "Obviously, that wasn't possible." 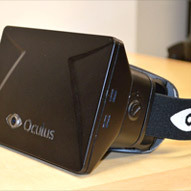 Now, Oculus doesn't expect to begin shipping until March 2013. 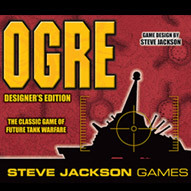 In 1977, Steve Jackson's classic board game "Ogre" came in a plastic baggie and sold for $3. Thirty-five years and many reprints later, Kickstarter helped Jackson create a souped-up sixth edition. Ogre is a war game set in the late 21st century, and it pits two players against one another. One player is armed with conventional tanks and infantry, while the other does battle with a single, powerful Ogre robot tank. Fans of the classic game turned out in droves to fund Ogre Designer's Edition. Jackson and his team added a slew of new goals to keep the money coming. Jackson's favorite: At the $200,000 level, the game went from one two-sided board to four one-sided boards. "Some really interesting, beautiful, and weird things were added to the game," Jackson says. "The backers' enthusiasm was contagious. Heck yes, we're going to do this again." The revised ship date is the first or second quarter of 2013. 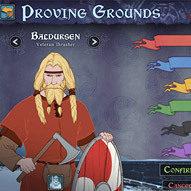 Banner Saga is a strategy game promising to take players through a story-driven plot centered on Viking culture. The gaming veterans who developed it asked for $100,000 on Kickstarter -- and landed more than $700,000. The five-person team, based in Austin, is now working through beta testing. Creative director Alex Thomas says that his team expanded the game's scope -- and postponed its shipping date -- in response to the funding deluge. He's now estimating a mid-2013 completion date. "You get seven times that much money, the size of the product changes," Thomas says. "You're not going to be able to produce a much bigger game in the same amount of time." Thomas likened the concept to a television show getting another season extended: More money means more content being produced. Thomas says the project's backers have been understanding. To tide them over, the crew released a playable online demo. Despite setting a $50,000 funding goal, Touch Time was always aiming to raise much more money. 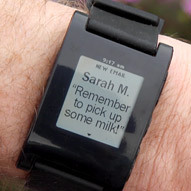 Still, the project's massive oversubscription set the shipment of the touchscreen watch back by at least two months. "I was looking at other watches that were on there, and surpassing a goal by a lot is a good way to get recognized," says Donald Brewer, Touch Time's inventor. "Still, we were a little over-optimistic." Brewer says it took a long time to get hold of some of the necessary components. The final version also needed a redesigned circuit board, which added a significant delay. Brewer now thinks the watch will ship in January. 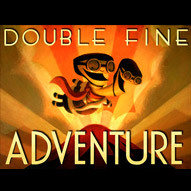 "Here's my promise to you: Either the game will be great, or it will be a spectacular failure," Greg Rice says on a video promoting his Double Fine Adventure Kickstarter campaign. "What could possibly go wrong?" The answer: Too much enthusiasm, leading to a massively pushed-back ship date. The company, which sought to make a classic "point-and-click adventure" computer game, hit its $400,000 goal in a mere eight hours. "Immediately, this became a very different project," Rice told CNNMoney. "Originally it was three people working for six months on a bite-sized game." Instead, the Double Fine Adventure team expanded to 12 people, and the project's scale grew to include support for character voices and multiple platforms, including PC, Mac, iOS, Android and even Linux. Rice says the new ship date is "a bit in flux," but the company is aiming for summer or fall 2013. 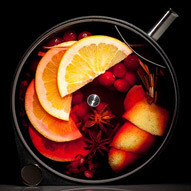 When designer Martin Kastner created a vessel for infusing cocktails for a bar client, he didn't anticipate his invention's popularity. Called the Porthole, the glassware was used at Chicago bar the Aviary. 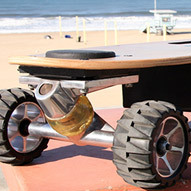 When people started inquiring about it, Kastner took the product to Kickstarter to fund production. "Once I put it up there, the response was pretty amazing," he says. While Kastner initially anticipated making several hundred pieces, he's now making 8,500. That pushed back the delivery date. Some quality-control issues popped up with the first production run, forcing Kastner to switch factories. His new supplier squeezed the Porthole in between iPhone and Nexus screen glass production. Kastner now hopes to ship in January. He's excited about the glass-quality upgrades the extra cash afforded: "As the scale increases, all of a sudden you start to see all these possibilities," he says. 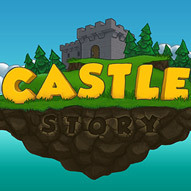 The Montreal-based entrepreneurs behind strategy game Castle Story reached their funding goal less than five hours after posting their campaign. The game lets users build castles brick-by-brick and defend them against enemies. Gaming blog Kotaku dubbed it LEGO Stronghold and gave the trailer a rave. "We posted a video demo of our game on YouTube last January and received a flood of good comments and an amazing reception on the Internet. So we decided to quit our jobs and work on the game full-time," the game's creators wrote in their Kickstarter pitch. Their planned beta release, originally slated for October, fell behind schedule and doesn't yet have a new delivery estimate. The team is keeping a detailed development diary on their website chronicling the game's progress. Leisure Suit Larry was a series of computer games popular in the '90s that chronicled the pursuits of middle-aged Larry, whom Replay Games CEO Paul Trowe describes as a cross between Homer Simpson and the Forty-Year-Old Virgin. "We have enough violent games out there," says the veteran gaming entrepreneur. "Why not just make people laugh?" 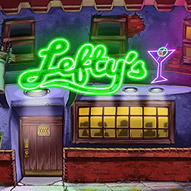 Trowe bought the rights to the Leisure Suit Larry franchise and turned to Kickstarter for the cash to relaunch the game. He assembled what he calls a "dream team" of development talent, including Larry creator Al Lowe, who came out of retirement to work with Replay Games on its remake. Replay Games topped its funding goal and is using the extra cash to create more content and hire additional talent -- Grammy-nominated composer Austin Wintory just signed on to do the soundtrack. Those changes have delayed the game's likely delivery date until March 2013, Trowe says. As the top-funded Kickstarter project of all time, the Pebble E-Paper Watch has been under massive scrutiny -- and it's become the go-to example of Kickstarter projects that failed to launch on time. 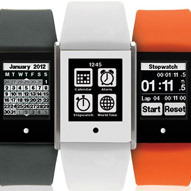 Pebble is a minimalist watch that connects through Bluetooth to an iPhone or Android smartphone. 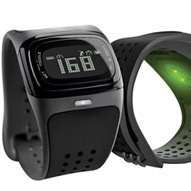 It displays texts and emails, vibrates for each incoming call, and controls music playlists. Sports and fitness apps are also available. The project went viral, and creator Eric Migicovsky found himself committed to shipping 85,000 Pebbles. Supply and production issues popped up immediately. In July -- two months after the campaign ended -- Migicovsky told backers they wouldn't be receiving their Pebbles in September. "It's a pool of 69,000 people. Some people were very supportive. And, of course, there are people who wanted their watch yesterday. We're keeping that in mind," Migicovsky says. Migicovsky won't even hint at a general timetable for a new ship date: "We don't want to say anything this time until we're 100% sure." 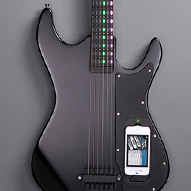 The gTar is an iPhone-linked digital guitar. Creator Idan Beck started building prototypes three years ago, cycling though seven of them before launching his Kickstarter drive. He did another 10 iterations in the past six months. "I've basically been commuting to China," Beck says. "As we're learning, production is a very unpredictable, intense and stressful process." This is the first manufacturing project for Beck, a former Microsoft developer with a Master's degree in electrical computer engineering. On top of the usual production glitches, he had to cope with Apple's radical iPhone 5 redesign -- forcing the gTar team to create two separate models. The iPhone 4/4S version will be rolling off the production line within weeks, Beck says. He's been posting detailed updates about the gTar's status and personally emailing backers about the delay. "We believe the only thing worse than shipping late is shipping a bad product," he says. When Kickstarter projects exceed their funding goals, many get delayed because of the unexpectedly huge number of items they'll have to ship. But when documentarian Mike Brockhoff got five times his expected haul, he postponed the release of his movie because he had the funds to change the entire scope of his project. 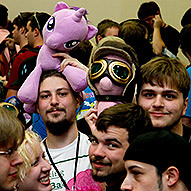 The documentary was originally supposed to focus on BronyCon, a convention for fans of the television cartoon "My Little Pony: Friendship is Magic." (Many "Bronies" are adult males.) The extra funds allowed Brockhoff to meet more Bronies and travel to additional locations, including Europe. Brockoff missed the planned September ship date for the DVDs, but he says his team is putting the finishing touches on the movie now. He's now planning to ship in January. With backgrounds in film production and industrial design, entrepreneurs Ben Ryan and Chris Thomson teamed up to design a product they wish they had: an easy-to-use device for capturing time-lapse photos and film. 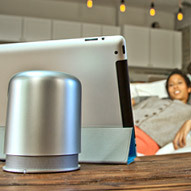 Priced at $590 for the earliest buyers, the Genie struck a chord with the Kickstarter community. 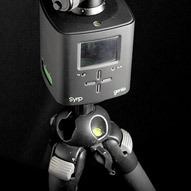 The device integrates with other film equipment, and users can preset the software with their preferred recording setup. A preview mode lets shooters test out their time-lapse settings. Genie's creators revised their estimated delivery dates several times. "To get everything right, to fill all those orders, just took longer than expected," Ryan says. He now expects the device to ship in late December. The team is posting a steady stream of updates, including Instagram shots of the production line and a sample unit boxed up for shipping. Joe Rubinstein and Elle Schneider want the Digital Bolex to be the first "affordable" -- meaning under $3,000 -- digital cinema camera to shoot uncompressed RAW footage. It remains a work in progress. "The delay was almost expected," Schneider says. "Some very important changes were made to the design of the product that necessitated moving the schedule." 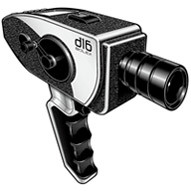 A forum on the Digital Bolex website lets backers weigh in on the camera's specs and design. Rubinstein and Schneider also hold a weekly video chat to update buyers on their progress. They now expect to ship in early 2013. "We developed a close relationship with a lot of our backers -- many of them we know personally and met in person or talked to them on phone or Skype," Schneider says. "The product is going to be significantly better now." 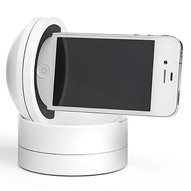 The Galileo robotic motion platform for the iPhone lets photographers, video chatters and other users remotely adjust their phone's viewpoint. Co-founder Josh Guyot says part of his motivation for creating the device was his desire to see his son better during video chats: "If I'm in China and my son is in the U.S., I'll be able to move Galileo with the swipe of a finger." The gadget ran into a series of obstacles during the development process. "Making a mobile accessory can be challenging, and there's a lot that we learned," Guyot says. The group now has four employees on the ground in China overseeing the manufacturing process. Guyot says the Galileo is on track to ship in January. A trio of coffee-loving engineers set out to build the world's best, most affordably priced home espresso machine. Nearly one year later, after a series of missed deadlines, they're still not close to the finish line. 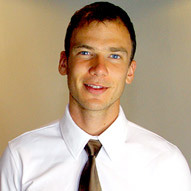 "We're finalizing the software component," says ZPM Espresso cofounder Gleb Polyakov. "As soon as that is finished, we're putting them together and getting them out the door." 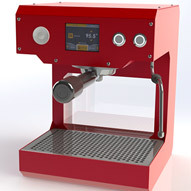 Polyakov expected to sell around 50 machines to Kickstarter backers. He sold more than 1,300. That meant completely re-doing the manufacturing plan, including finding new suppliers that could source a larger number of parts. Because of the order deluge, ZPM pushed its delivery date before its Kickstarter campaign even ended, rolling it back two months to June 2012. That revised target was over-optimistic: The company now doesn't expect to ship until May 2013 at the earliest. "Knowing what we know now, we'd have the product more developed before we launched, and we'd have a backup plan in case it takes off more than expected," Polyakov says. Reporting by Stacy Cowley, David Goldman, Julianne Pepitone, Laurie Segall and Olivia Smith.Designed by Kacy Belew. A CNNMoney examination of the top 50 most-funded projects on Kickstarter found that 84% missed their target delivery dates, with some delayed by many months. Like many of the high-profile projects it launched, Kickstarter is in some ways a victim of its own runaway success. Flint and Tinder used Kickstarter to bring men's underwear manufacturing back to the US, but was surprised by the challenges they encountered.